The polka dot may be a ubiquitous feature of dresses, bikinis, and twee collegiate bedspreads in the modern era, but as patterns go, it hasn’t been around for that long. The eye-popping pattern gets its name from the polka music craze that engulfed Europe in the mid-1800s. “Marketers during this period hawked every product they could as polka-themed, including foods like polka pudding (a boozy confection of orange-water-flavored cream, drizzled with sherry “polka sauce’),” as design writer Jude Stewart writes in her new book Patternalia, a cultural and historical exploration of graphic patterns like stripes, plaid, and yes, polka dots. “But much of it—polka curtains, polka hats—was identifiable by the spattering of sprightly dots.” Here are seven things you might not know about those cutesy dots. 1. THEY’RE NOT CALLED POLKA DOTS EVERYWHERE. In Germany, they’re Thalertupfen, after the silver coin called a Thaler, used as currency throughout Europe until the 1800s. In Spanish, the term is lunares, or little moons (also the word for moles). In French, clothes are à pois, or marked with peas. The English term comes from the mass popularity of polka music in Europe and the U.S. in the 19th century. 2. 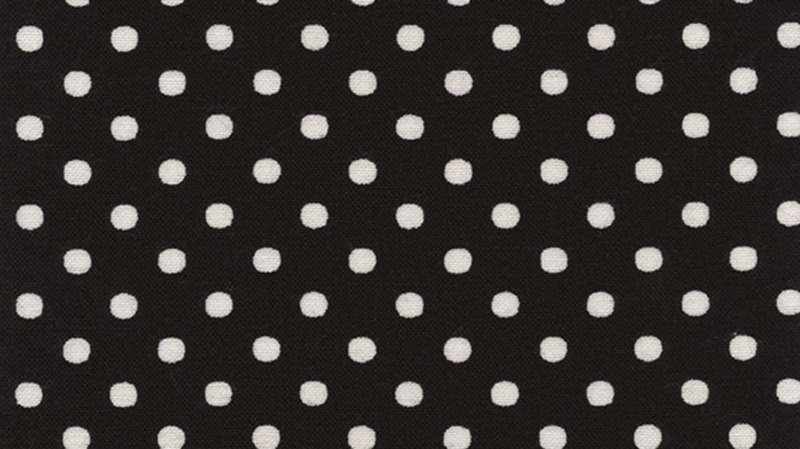 IT’S UNCLEAR WHAT DOTS HAVE TO DO WITH POLKA. “The connection between the dance and the patterns on all that spotted merch is murky at best,” Stewart writes. “Possibly the spotted pattern evoked the lively half-step of the dance. It’s also unclear whether marketers intended all those polka hats, vests, and shoes as dancewear, or if calling something ‘polka’ just made a product seem more cheerful.” One of the earliest sources of the pattern’s name came from Godey’s Lady’s Book, a Philadelphia-based women’s magazine popular in the mid-1800s. 3. POLKA-DOT FASHION WASN’T POSSIBLE IN THE PRE-INDUSTRIAL ERA. Dotted patterns didn’t become popular until there were machines that could make them perfectly spaced. In Medieval Europe, irregular spots on fabrics would have reminded people of skin blemishes and of the blood-spotted handkerchiefs that signaled the onset of tuberculosis, University of Cambridge historian Steven Connor tells Stewart. 4. THERE’S A BATMAN VILLAIN WHO LOVED POLKA DOTS. Mister Polka-Dot, a character who first appeared in a February 1962 comic, wore a skin-tight costume covered in colorful polka dots that would swell up to create deadly weapons at the push of a button. He used a getaway car called the Flying Polka Dot. 5. ARTISTS HAVE MADE CAREERS OUT OF POLKA DOTS. Chuck Close creates photorealistic portraits out of pixelated dots. “I discovered about 150 dots is the minimum number of dots to make a specific recognizable person,” he said in a 2002 interview with ARTZAR.com. 6. THERE’S A NAME FOR THE FIVE-DOT PATTERN ON A DIE. It’s called a quincunx, or in French, quinconce. The term comes from a pattern on Roman coins. 7. POLKA DOTS MADE FRANK SINATRA FAMOUS.